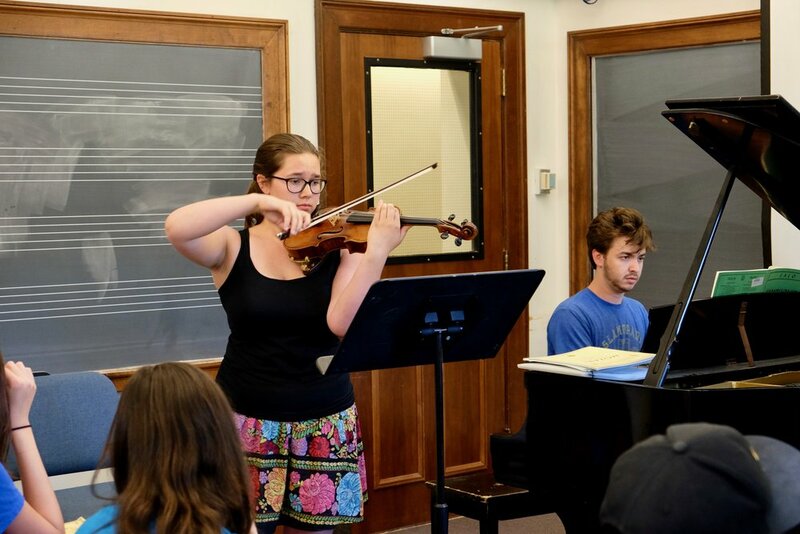 Lyra Music Festival and Workshop is a 3-week, conservatory-style classical music program held at Smith College in Northampton, MA in July 2018. Lyra Core Curriculum participants are immersed in a supportive, nurturing community where they live, work and play with their peers and the dedicated Lyra faculty and staff. The workshop is geared towards the intensive study of solo and chamber music repertoire and includes performances in weekly outreach concerts engaging with the community, as well as opportunities to observe or participate in master classes and attend concerts produced by Lyra Music/performed by world-class musicians -- all within a fun and energetic atmosphere. The workshop is held in the charming, friendly town of Northampton, MA -- hosted by Smith College. 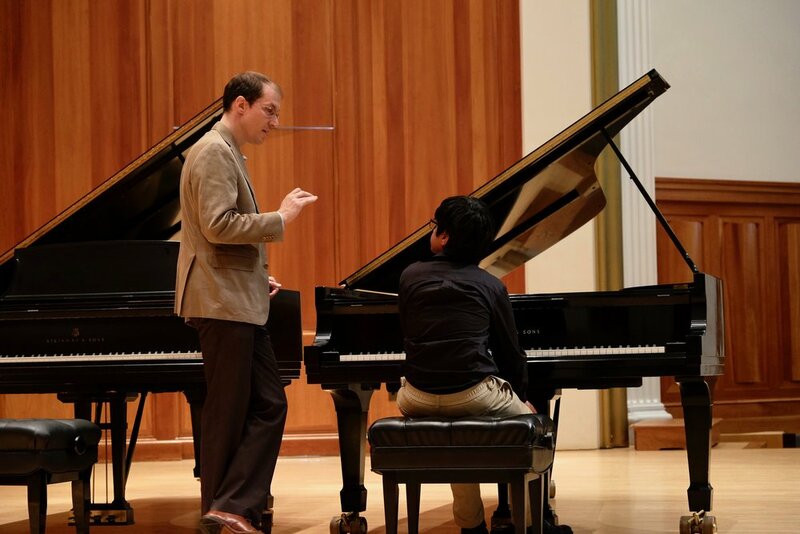 Students will find Smith's wonderful music building, Steinway grand pianos, and lovely recital halls the perfect place to hone their skills. Smith’s Olmstead designed campus and beautiful residential housing help to make Lyra a true “home away from home”. 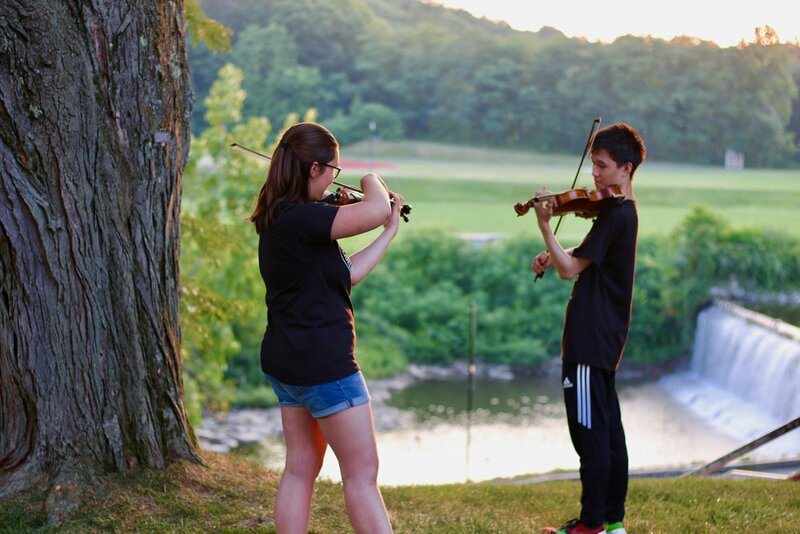 In addition to focused musical training, Lyra Core Curriculum participants enjoy organized, staff-lead social and sports activities and regional excursions. 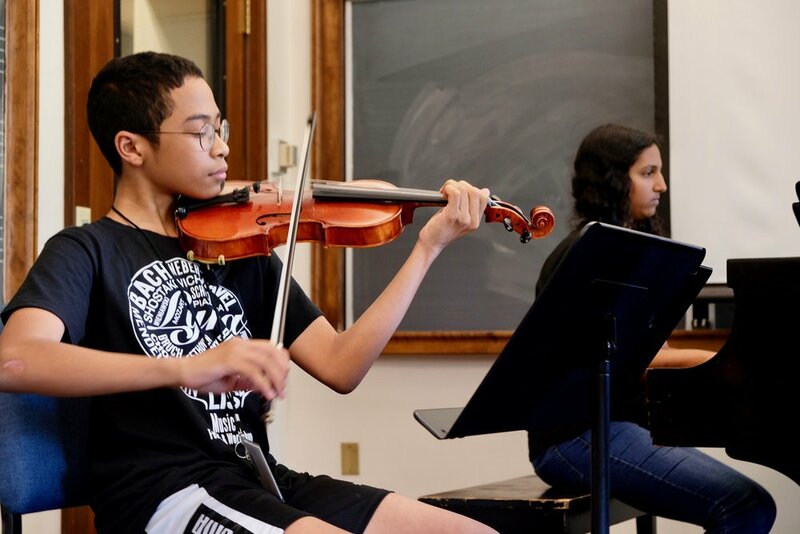 The Lyra Core Curriculum is an audition-based program, open to advanced and intermediate violinists, violists, cellists and pianists ages 9-18. Exceptions may be made in outstanding circumstances. Please Note: participants ages 11 and younger must be accompanied by a full-time parent or guardian for the duration of the workshop. Please review the full application for minimum requirements. 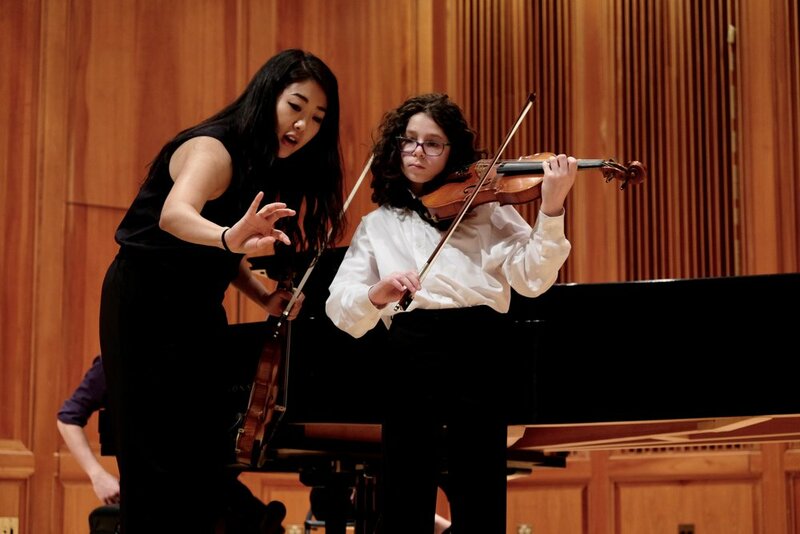 The Lyra Young Artist Program is reserved for a select group of applicants who demonstrate a high level of proficiency on their instrument and are able to learn advanced repertoire quickly. Lyra Young Artist participants are fully integrated members of the summer workshop, living, dining and sharing social activities and regional excursions with students in the Core Curriculum program, however, their Lyra Workshop training is intensified through side-by-side mentorship and performance with Lyra faculty in chamber music ensembles. Young Artist participants also perform in a special spotlight concert during the workshop. Acceptance into the Lyra Young Artist Program is highly competitive, and is by audition only. Early Audition is strongly recommended for consideration. Although prior chamber music experience is not required, preference will be given to students who have previously worked in ensembles. Please note: if you are not selected for the Lyra Young Artist Program, your application will automatically be considered for the Lyra Core Curriculum Program. This camp (Lyra Music, Inc.) complies with regulations of the Massachusetts Department of Public Health and is licensed by the local board of health.